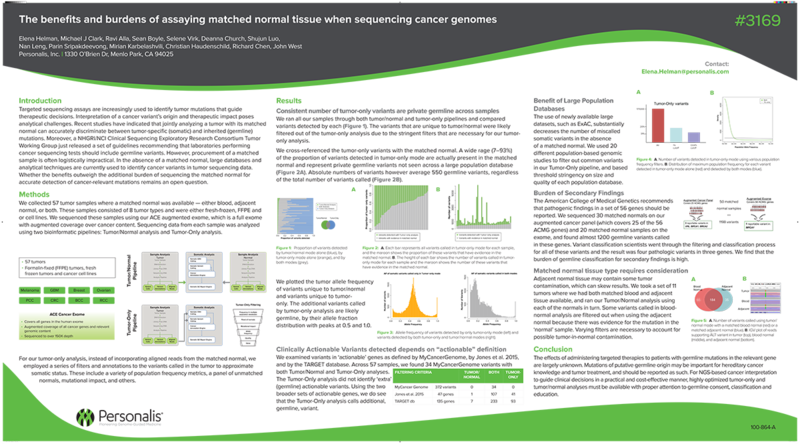 Targeted sequencing assays are increasingly used to identify tumor mutations that guide therapeutic decisions. Interpretation of a cancer variant’s origin and therapeutic impact poses analytical challenges. Recent studies have indicated that jointly analyzing a tumor with its matched normal can accurately discriminate between tumor-specific (somatic) and inherited (germline) mutations. Moreover, a NHGRI/NCI Clinical Sequencing Exploratory Research Consortium Tumor Working Group just released a set of guidelines recommending that laboratories performing cancer sequencing tests should include germline variants. However, procurement of a matched sample is often logistically impractical. In the absence of a matched normal, large databases and analytical techniques are currently used to identify cancer variants in tumor sequencing data. Whether the benefits outweigh the additional burden of sequencing the matched normal for accurate detection of cancer-relevant mutations remains an open question.